8 pp. Roman, 586 pp. This book is the outcome of the first international conference on the Nuba Mountain languages, held in Leiden, September 2-4, 2011. It contains 32 original contributions and constitutes an important leap forward in the linguistic exploration of this complex area. Additional papers not presented were commissioned to provide a more complete overview of the area, thereby contributing to pioneer studies of previously poorly researched languages. 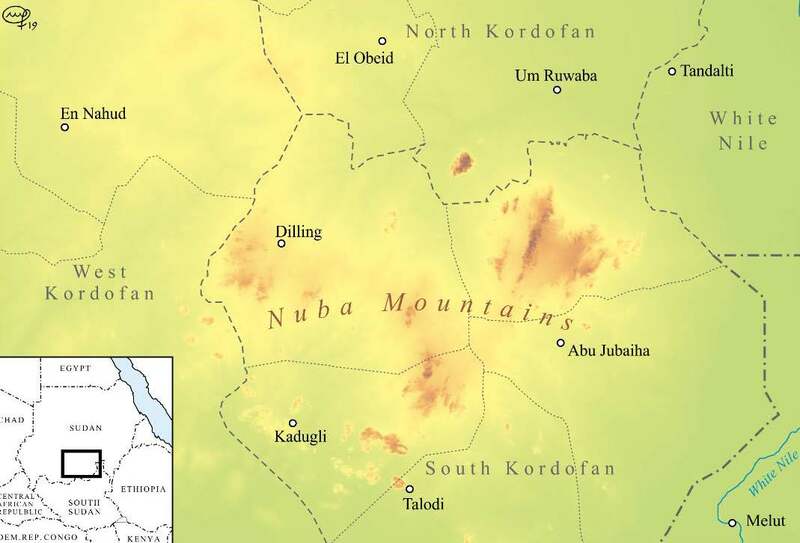 The Nuba Mountains are seen as a well circumscribed geographical and cultural area by its inhabitants and outsiders alike. They are almost entirely located in the centre of the State of South Kordofan within the Republic of the Sudan. 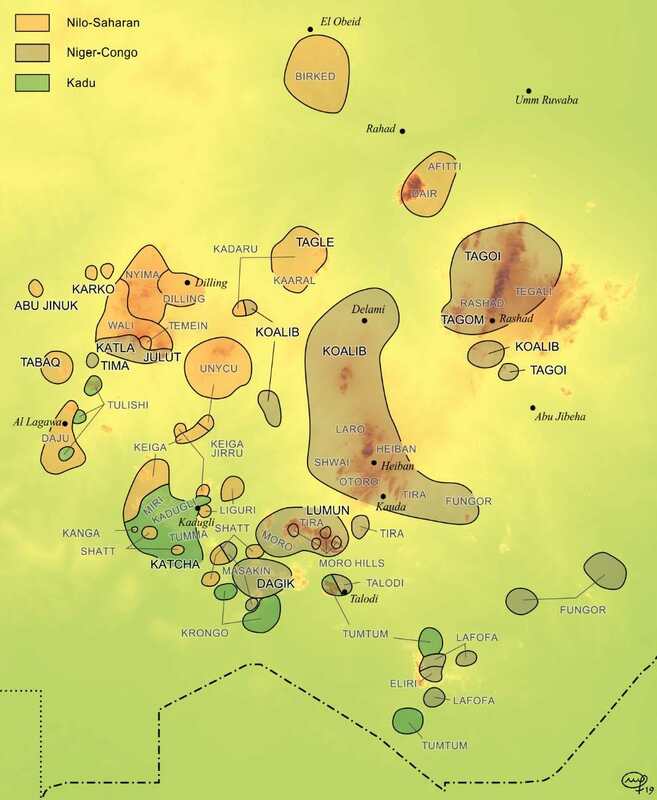 The term Nuba Mountain languages refers to the forty-plus languages indigenous to this area, which can uncontroversially be assigned to ten linguistic (genetic) groups, with the addition of regional varieties of Arabic. The papers in this volume include at least one language from each of the ten indigenous groups of the Nuba Mountains. They cover a wide range of topics, with a focus on descriptive linguistics, although particular contributions may not easily fit into the traditional linguistic categories of syntax – morphology – phonology. Harald Hammarström: Noun class parallels in Kordofanian and Niger-Congo – evidence of genealogical inheritance? 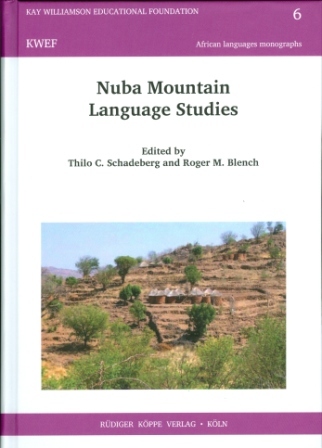 This volume contains a wealth of information on Nuba Mountain languages, not just because of the sheer number of articles, but because each language group is represented, and the volume gives a broad selection of the intriguing grammar and sociolinguistic factors of the region which are well presented. Thus, this volume is a great step forward, both in the documentation and classification of these languages, and will be a substantial asset to field linguists, typologists, sociolinguists, and anthropologists for many years to come.